A new cast member for Nick Park’s film Early Man has been announced! Maisie Williams (‘Game of Thrones’) will be voicing the part of Goona, a gallant rebel who befriends the film’s hero Dug, played by Eddie Redmayne. Maisie also joins Tom Hiddleston, who will be voicing the part of Lord Nooth. Nick Park said of the casting: “Maisie is a terrific actress, and she is of course no stranger to embodying a valiant heroine. I’m most excited to see her breathe life into Goona – I know she’ll be the perfect ally to Eddie’s Dug”. 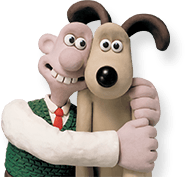 Maisie added: “I’m a huge Aardman fan – having the chance to work with Nick Park is a dream come true, especially as I get to voice such a fantastic character as Goona. I can’t wait for audiences to meet her”. Early Man is currently in production in Bristol and you can follow all the latest news on the film’s official Facebook and Twitter channels.